RED: Tom Mullica's Red Skelton Tribute. This show was one of the FUNNIEST comedy routines that we have seen in years! It is truly a laugh riot! Tom is so quick with his wit and plays to the audience fabulously. Each show is completely different since there are new audience members all the time. He is one hell of an entertainer. His partner Stephen is absolutely hilarious with his dead pan humor. Even their precious puppy, Dolly is in the show. DO NOT MISS THIS SHOW !!!!! It is for sure, the funniest show in Branson ! His website is www.TomMullica.com. JOSEPH HALL'S ELVIS "Rock 'N' Remember Tribute" It is an incredible full production show , featuring the greatest hits of the King of Rock 'n' Roll". You will think that the real Elvis is back! Joseph does an incredible job ! He was in the Top Ten of NBC's American's Got Talent. He has Elvis's look and motions down perfectly! 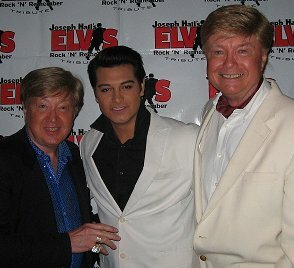 His website is: www.josephhallbransonelvis.com He does travel from coast to coast doing tours so if he is in your area, BE SURE and catch this very talented entertainer. THE SHOJI TABUCHI SHOW. What is there NOT to like about this EXTREMELY TALENTED entertainer ? If you are lucky you will be there one of the nights that his wife Dorothy or daughter Christina are also performing. It is all ENTERTAINMENT ! He has almost as many sequined outfits as Liberace had ! He is on top of everything and his theatre is beautiful. One HAS TO visit the restrooms in his theatre. They are always on the top ten restrooms list in the country. You can see photos of them on line. The men's restroom even has a pool table in it and the lady's restroom has crystal chandeliers. No trip to Branson is not completed until you see this show. 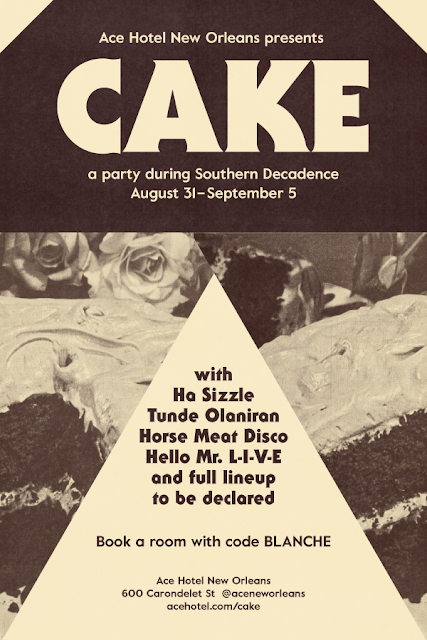 It has everything, glitz, glamour, great music with a wonderful back up band. His daughter, Christina has a great CD out , "THE ORIGINALS" His website is: www.shoji.com. DOLLY PARTON'S DIXIE STAMPEDE is a dinner show. They serve a complete dinner consisting of a whole Rotisserie chicken, hickory smoked barbeque pork loin, corn on the cob, baked potato, creamy vegetable soup, home made biscuit and an apple tart for dessert. If you want to eat with flatware you will need to bring your own, otherwise everybody eats with their hands. And we are not kidding ! Knowing this in advance, we brought our own Grande Baroque Sterling Silver flatware and our own white linen napkins. You dine while you are watching the show where cowboys, Indians and all sorts of rodeo clowns, Ostriches, pigs and everybody has a good time. Dolly does this right! The pre-show outside is truly outstanding. Their website is: www.dixiestampede.com. There are two fabulous shows that we saw at the King's Castle Theatre, www.kingscastletheatre.com. First we saw HOORAY FOR HOLLYWOOD which was a Hollywood spectacular featuring songs from Hollywood's greatest films. It REALLY had all the glitz and glamour that one would ever want. The entire cast did a tremendous job. Do not miss this show. Also at the King's Castle Theatre was the NEW JERSEY NIGHTS, the smash hit tribute to Frankie Valli & The Four Season. The audience really appreciated this show and sometime even sang along with the singers. The cast did a remarkable job and everyone left wanting MORE ! Branson HAS changed in the past couple of years and for the good! They just HAD to re-invent themselves as Las Vegas has had to do. It is now not just all about God and Country however can you actually believe they still have a theatre called God and Country there ? Younger travelers are now coming to Branson. Our very favorite restaurant in Branson was FLORENTINA'S Ristorante Italiano. Their website is: www.florentinasristoranteitaliano.com They had some of the finest Italian food around. It is located at 2690 Green Mountain Drive just off the "strip" in Branson. Be SURE and dine there when visiting Branson. Like Las Vegas, Branson in high tourist season can get very crowded with cars. Fortunately someone in the city devised a couple of alternative routes to avoid the main strip and by using these Yellow and Red routes you can get around very quickly., We want to thank the Branson Convention & Visitor's Bureau for their assistance in writing our column and we also want to give a big thanks to Patrick McCoy at the Shoji Tabuchi Theatre and to "Mark S".